Is it possible to get free Fortnite V-Bucks or are they locked behind real world money? If you play Fortnite then you probably want some free V-bucks. 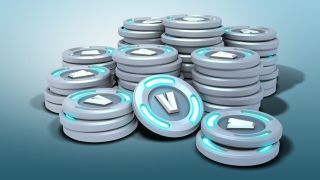 This in-game currency is used to buy everything from the battlepass each season, to things like cosmetics and emotes from the Fortnite store. Because they're so sought after you'll probably see all sorts of promises and dodgy deals floating around - don't listen to any of them as the only way to get V-bucks is in game and anything offering you V-bucks that isn't Fortnite will be a scam. The only way to actually get Fortnite V-Bucks is by buying them in-game, simply by purchasing them. However, if you want to really make Fortnite live up to it's 'free to play' nature there are a few ways to earn free Fortnite V-Bucks. It will take you much longer than buying them outright, but if there's a skin you've had your eye on for a while then follow these methods to earn yourself some free Fortnite V-Bucks. The most straightforward way to unlock free Fortnite V-Bucks for free is to level up with both experience points and battle stars through completing daily and Fortnite Battle Pass Challenges. As you level up you’ll reach new tiers in the battle pass system (both the free and paid version) and a handful of tiers will give you 100 V-Bucks each time to spend in the Fortnite store. Save The World is currently priced at $40/£35, but it goes on sale frequently if you have a little patience. You can earn thousands of V-Bucks by simply playing the game each day and completing the missions, but if you don't like the core gameplay then it can be a drag because it's vastly different to the battle royale mode. If you want more tips, we have an extensive guide to the best Fortnite weapons, a breakdown of the best places to drop on the Fortnite map, and even a guide to the most likely Fortnite llama locations.